No, it’s not Keanu Reeves. 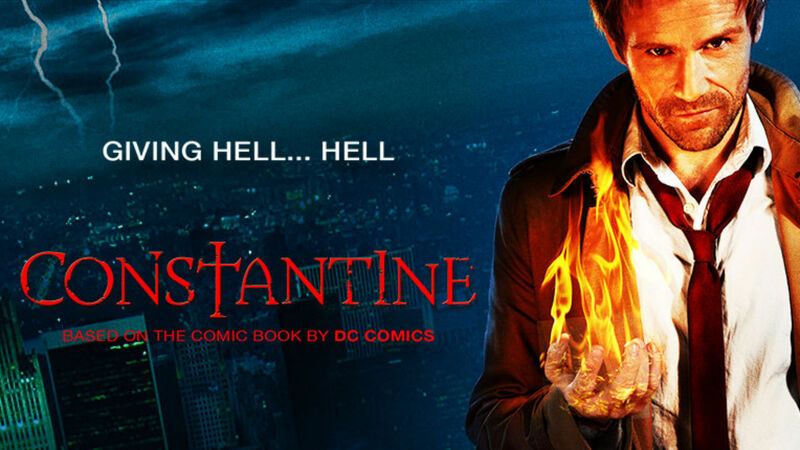 NBC kickstarts there own stab at a DC comics TV show with the premiere of Constantine. This is a much different show compared to CW’s action heavy Arrow and and the fun and fantastical The Flash. 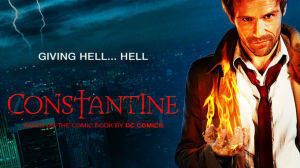 In some ways, it resembles FOX’s Gotham in its darker tone, but Constantine takes dark to a whole new level. The casting of Matt Ryan was perfect for the John Constantine role. This portrayal of the “Exorcist, Demonologist, and Master of the Dark Arts” is spot on with his British wit, his dry sense of humor, and his signature trench coat. The only thing lacking is his addiction to smoking which was removed due to NBC’s broadcast standards, but the show does heavily imply he’s a smoker. David S. Goyer, the writer of “Non Est Asylum” and several others throughout the season, is no stranger to writing screenplay adaptations on DC comics or the occult. His filmography includes Batman Begins (2005), The Dark Knight (2008), Man of Steel (2013), the TV series DaVinci’s Demons, and currently Batman v Superman: Dawn of Justice. I have thoroughly enjoyed his work over the years, and I am eager to see what he can deliver with this show. 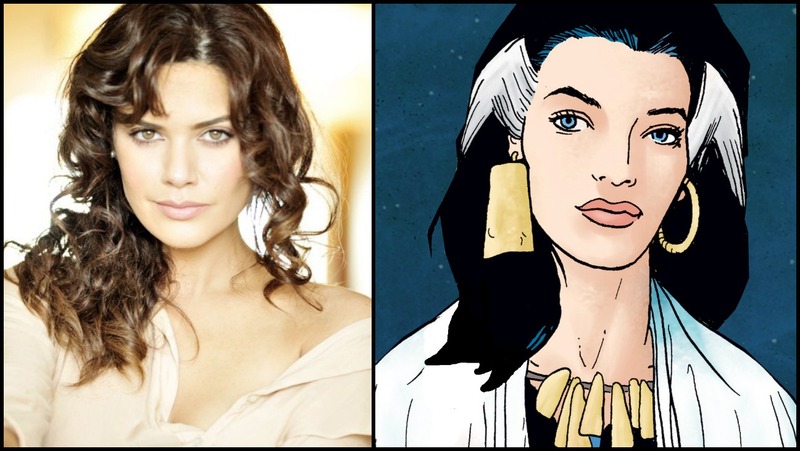 Angelica Celaya portrays Zed Martin, a psychic who uses her powers to draw pictures to show her the answer. I was able to see this pilot months ago, and there were some notable changes since then. The biggest one is the replacement of Lucy Griffiths (Liv Aberdine). After they finished the pilot episode, the creators decided to take the show in a different direction. 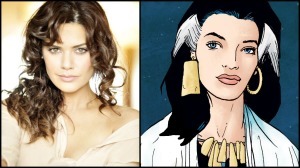 Now, the co-lead will be Angelica Celaya as Zed Martin whom we see a glimpse of at the new ending. I thought there were several moments in tonight’s episode that seemed rushed. Scenes went in succession rather quickly at times which gave the show a fast pace, yet took away some of its horror element. Scenes meant to scare the audience tended to lack in their delivery due to fast pace of the episode. Now, I don’t think this will be a horror show solely in a ‘jump-scare’ way, but if they are going to include jump-scares, the pace of the episode is important. It would not be a DC comics pilot episode without a decent amount of exposition and Easter eggs. Much of the episode consisted of creating this setting where demons and lost souls are becoming more active. Further, Constantine’s background is delved into with the death of his mother, his troubled childhood with his abusive father, and that time he summoned a demon to take out a lesser demon which instead dragged a 9-year-old girl to Hell. Constantine certainly has many personal demons to deal with. Among the Easter eggs were the Helmet of Fate and possibly Pandora’s Box. Whether or not these relics will come into play, it is cool to see bits of the bigger DC world in there for our enjoyment. This show, much like CW’s The Flash, is very close to comic book adaptation of the main character. Constantine’s sarcastic humor comes out even in the most serious of moments which makes the show lively and fun, yet dark, and creepy, at the same time. Add this to your ever increasing list of must-watch DC TV.